Matt Kehrer joined the staff at Christ Our Light in 2016. He and his wife, Kirstin, and daughter, Elise, live in Zimmerman. 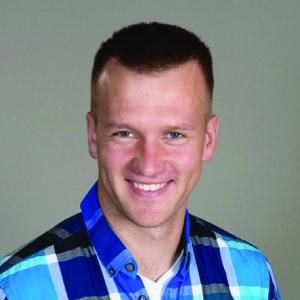 Matt grew up in Princeton a member of St. Pius, attending Princeton High School and Saint Cloud State University. Matt has a love of snowboarding, fishing, and sports of every kind. He also enjoys being active and outdoors, learning, laughing way too much, traveling, playing video games, aquariums, and most of all: seeing others find joy in their lives because of Jesus.